The largest island in the Caribbean, Cuba’s unique standing in the world has been capturing imaginations for decades. It is enthralling and complex; bewildering and uplifting. A former Spanish colony with a rich culture and one of the last surviving communist regimes, Cuba is an unforgettable, breath-taking Caribbean experience. Flights: You can fly to various parts of Cuba direct from Manchester or London Gatwick. Passport/visa requirements: Your passport should be valid for the duration of your stay in Cuba. You'll need to get a tourist card before you travel, allowing you to stay up to 30 days in the country. Packing essentials: May to October is Cuba’s rainy season, but it experiences less rainfall than most of its Caribbean counterparts. The summer months are extremely warm and humid with the winters cool in comparison. Therefore, light, cool clothing is essential all year round. As is sun cream and a sun hat. It is also worth packing a waterproof jacket. 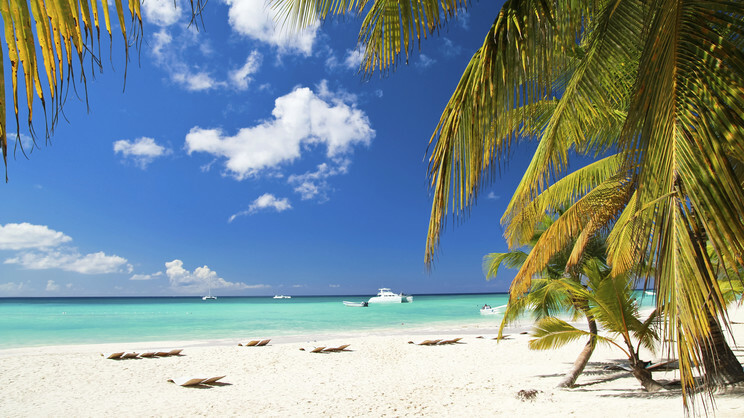 Like most places in the Caribbean, Cuba is blessed with fantastic beaches, exceptional weather and pristine waters. The popular resort of Varadero is a two-hour drive from the capital Havana, and is blessed with high-quality hotels and resorts. Varadero is flanked on all sides by rolling beaches that are hailed as some of the world's best, and is a perfect destination for swimming and snorkelling in the clear blue waters of the Caribbean Sea. Later, enjoy a rum cocktail while savouring one of Cuba’s heavenly sunsets and contemplating the prospect of a day trip to magnificent Havana. Magical Havana is bursting with charm and character. Its stunning architecture and classic American Chevrolets make it a photographer’s dream. The people are famously joyous and hospitable, and Havana beats to the rich, vibrant, layered and soulful music of the Cuban people. A meander through the streets offers an experience matched by no city in the world, set along a dramatic coastline and with scenic natural harbours and ports as stunning backdrops. Cuba is a fascinating and exotic land, and offers much more than the Havana-and-the-beach holiday most tourists generally experience. It’s a wonderful island to explore. The fascinating city of Trinidad in the south is a highlight, with this authentic Spanish colonial town now a living museum to its 18th- and 19th-century heritage. In Trinidad you’ll feel like you’ve stepped back in time, while visits to Baracoa and Santiago de Cuba to the east, famous for their music and cuisine, offer a spicy and vibrant alternative to the main tourist spots. Cuba is a magical country unlike anywhere else in the world. Visitors are enriched by the unique experience of Cuban life through its architecture and the exuberance of its people. Whether you want a traditional Caribbean beach holiday or to experience beautiful Havana in all its glory, Cuba makes for an unforgettable travel experience. The weather in Cuba is subtropical, with temperatures averaging between the mid-20s to low 30s throughout the year. Peak season for tourists is between November and March, when temperatures are cooler and drier, as well as July and August. June and September are wetter months. You love adventures, and want to mix culture with relaxing on the beach. If Caribbean beaches were a music festival, Varadero in Cuba would headline every single time. . This 20km (that’s not a misprint) stretch of pristine coastline boasts some of the most perfect sand and waters imaginable. Varadero has become the island’s biggest draw in recent years, trumping the long-standing capital, Havana. Despite a number of mega hotels and huge resorts appearing along Varadero Beach, those have failed to make much of a damaging imprint on the stunningly-beautiful Hicacos Peninsula. Santa Maria del Mar beach is another of Cuba’s gems. It has the unique bonus of being just 20 minutes from Havana, and is the perfect place to swap hectic city life for laidback beach bliss. Locals regularly flock here, with Santa Maria del Mar being the main beach of the 9km strip. Be warned, if you head here in the height of summer you’ll struggle to place your towel down. Fear not, however, as Cuba has year-round sunbathing weather. Sitting on the small resort island of Cayo Largo, is without doubt the best hidden gem of the whole country – Playa Paraiso Beach. In fact, it was even voted in the top three beaches in the world back in 2016. It needs little explanation, but if you’re looking for a standout, we think Playa Paraiso may be just that.